WHEAT HARVESTING IS NEARLY COMPLETE AS WE HEAR IN THE WEEKLY CROP REPORT. 92 PERCENT OF WINTER WHEAT HAS BEEN HARVESTED… ABOUT ON TRACK WITH LAST YEAR AND AHEAD OF THE FIVE-YEAR AVERAGE. 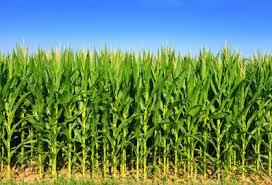 CROP STATISTICIAN MARK SCHLEUSENER SAYS THE CORN CROP IS MOVING RIGHT ALONG. 64 PERCENT OF SOYBEANS ARE BLOOMING AND 21 PERCENT ARE SETTING PODS. 72 PERCENT OF THE CROP IS RATED IN GOOD TO EXCELLENT CONDITION…DOWN A BIT FROM THE PREVIOUS WEEK. AVERAGE STATEWIDE TOPSOIL MOISTURE STANDS AT ONE PERCENT VERY SHORT, 11 PERCENT SHORT, 80 PERCENT ADEQUATE AND EIGHT PERCENT SURPLUS.